It happens every time. You take a look at that feature, you look again, and you stare at it, and decide to leave it on the mountain. 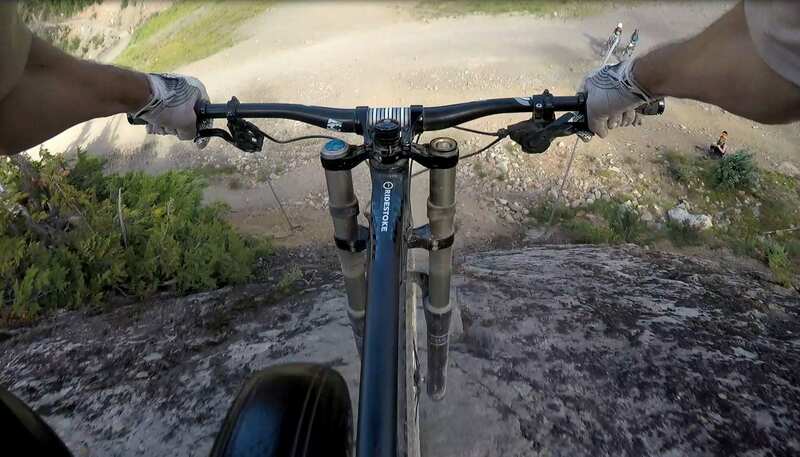 The days and weeks that come next are filled with sleepless nights, thinking through how to clean that feature, how to send it, why you chose not to send it, or just plain didn’t have that trigger that day that said, go! The Filthy Ape awaits. 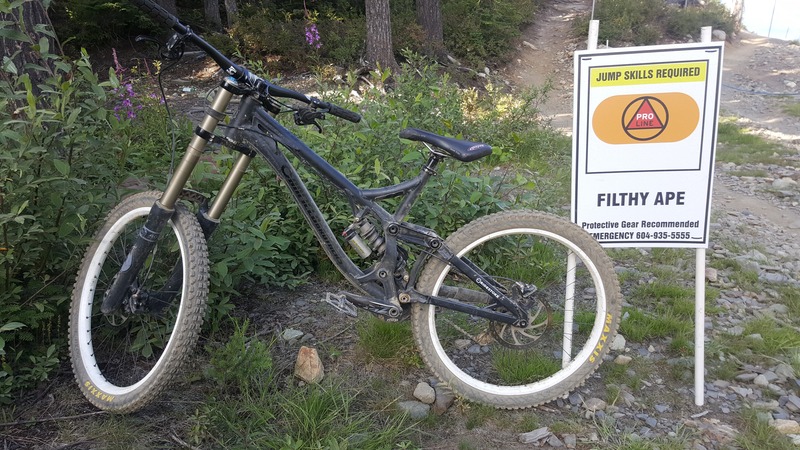 You’ve arrived at Whistler Bike Park, and it’s time to shred. The first few days of five days of riding are underway. 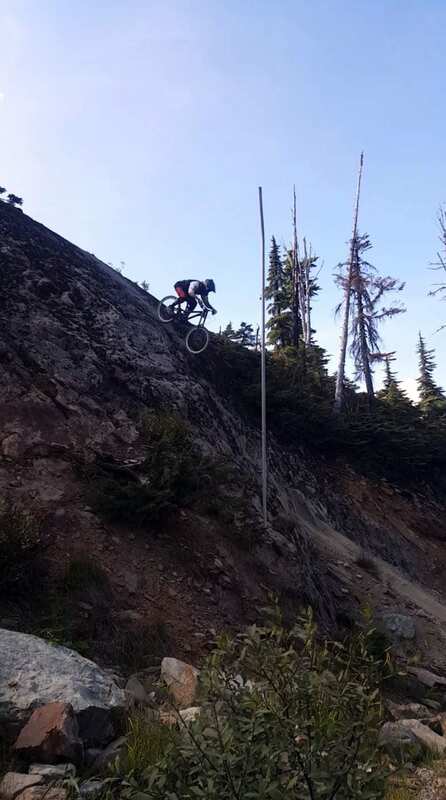 The bike is feeling dialed, the suspension is plush, the jumps feel good, you’re making your way through the list of Blue Trails, now Black Trail, now Double Black Trails on the lower mountain. 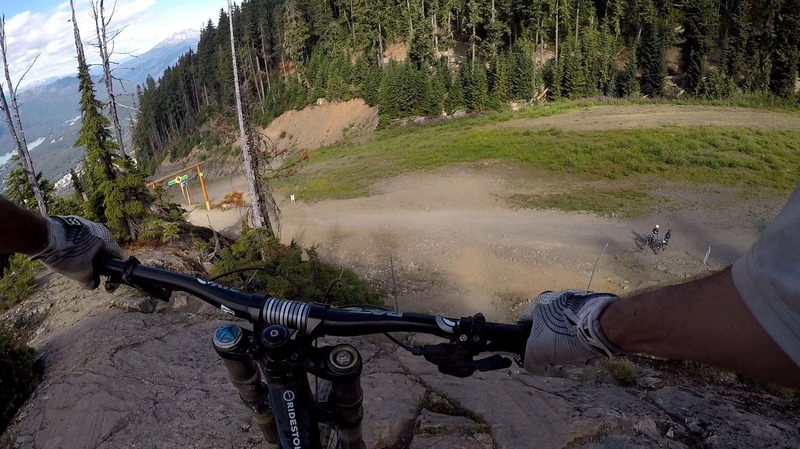 It’s time for a Fade To Black run to get the stoke flowing. There it is, that though that has haunted your sleep for so long, it’s time to head to the upper mountain to have a look. It’s just the second day of the five day ride, but, the Ape up there and you know it. The Filthy Ape awaits. It’s a long lift ride up when the feature is all you have on your mind. It’s all you can do to put it out of your head to not talk yourself out of it. We’ll just go take a look. Let’s be sure we know how to get there. Flowing down Blue Velvet seemed to be an easy way to go. Finally, we come up to an open area, and behold, the massive Filthy Ape in all its glory, in the distance. Climbing to the top to take that look, the “go” trigger was not yet there. Peering at the Ape from below, now from the side, from the other side, from the top, 25 minutes have now gone by, as if time had stalled. Watching another rider or following another rider in to a feature is a good way to go. Understanding the speed or pace can be all the difference. I didn’t have that here. 25 minutes have passed, and a rider approached. 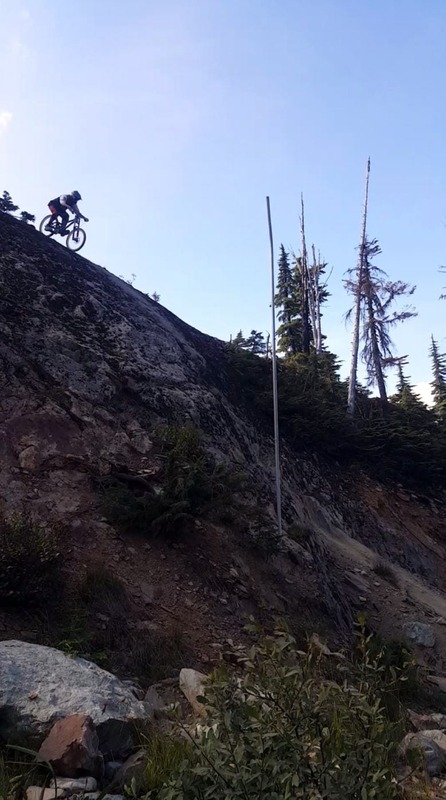 It seems like this rider has done this before, heads to the top, and drops in. I’ve now seen it. It’s in my head. Time to climb to the top. 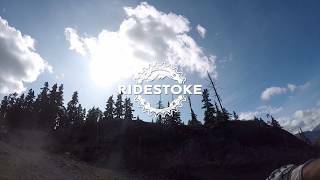 Sitting in the saddle, suspension seemed good, GoPro on, brakes were dialed, the “go” trigger was there. “Start rolling and rely on experience once I was in the roll” was the trigger that went through my head. Start the roll, brakes were cooking, this Filthy Ape was steep. The rough part was fast approaching. Slight pull, and the G-out was ok. The Canfield Jedi smoothed it out nicely. The Filthy Ape was a Mind Game indeed. Having rolled the Ape once, twice, and then a few more times throughout the five day ride, it was an accomplishment. Now I can sleep.